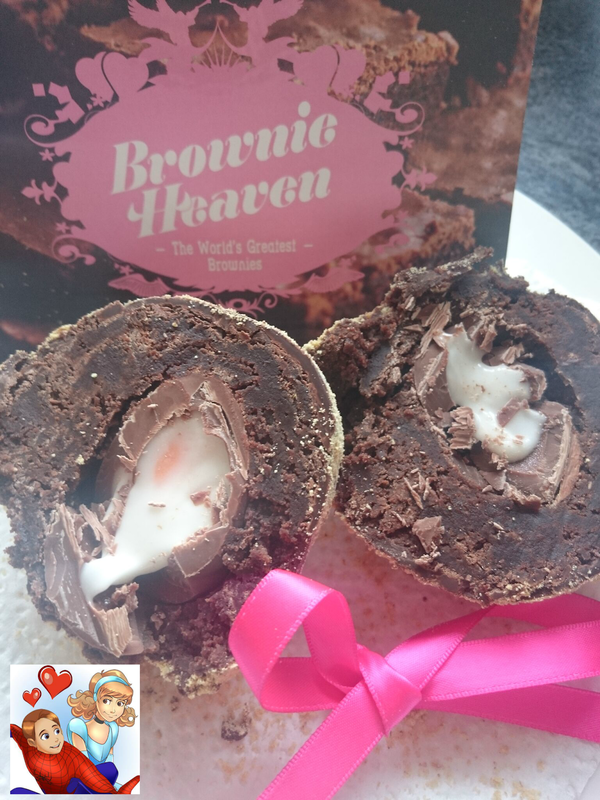 With Easter fast approaching and the shops filled with Easter Eggs I was recently introduced to Chocolate Brownie Eggs from Brownie Heaven. 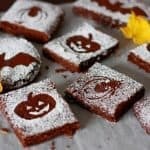 I love Chocolate Brownies so I was very excited to try these out and I was definitely not disappointed. 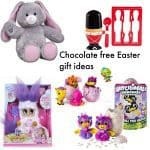 These arrived in a nicely gift wrapped box containing 4 large Brownie Eggs. I received 2 Brownie Scotch Crème Eggs, A Ferrero Scotch Brownie Eggcelente and a Salted Pretzel Scotch Caramel Egg. These are round Brownies each with a different centre, the Scotch Crème Egg contains a whole Cadbury’s Crème Egg in the centre, surrounded by a dark baked Chocolate Brownie and finished with biscuit crumbs. 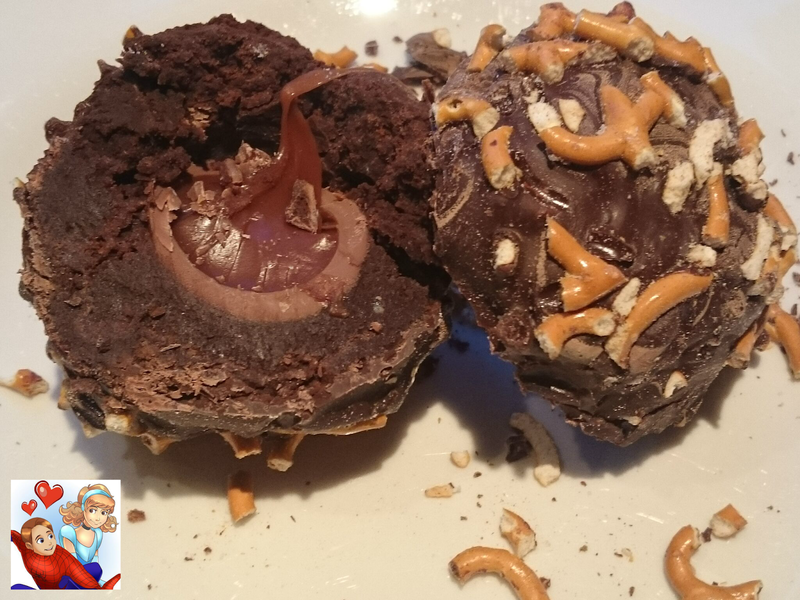 The Caramel Eggs are a Cadbury’s Caramel Egg surrounded by a dark baked Chocolate Brownie finished with Sea Salted Pretzels on the outside. My favourite by far were the Ferrero Eggs, these contain a Ferrero Rocher centre surrounded by a dark baked Chocolate Brownie coated with crushed hazelnuts. These Eggs are the size of my fist and I was only able to eat less than half in one sitting, the Brownie part of these are moist and extremely filling. Due to the different centres and coatings of the Eggs they all have a unique taste and the fillings although baked into the brownies are still very gooey and taste just as they usually would. 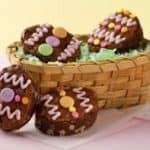 These delicious Brownies are a fabulous alternative to the traditional Easter Egg and can be purchased from www.brownieheaven.co.uk, they come boxed and you receive 4 Eggs costing £22.95 (£23.95 for the Pretzel Eggs). Although they are rather costly they would make a nice gift for a special occasion. Brownie Heaven have launched a search to find the ultimate Brownie Egg and are asking for your help – they are asking you to help invent this Egg. The winning Egg will then be sent out to thousands this Easter. 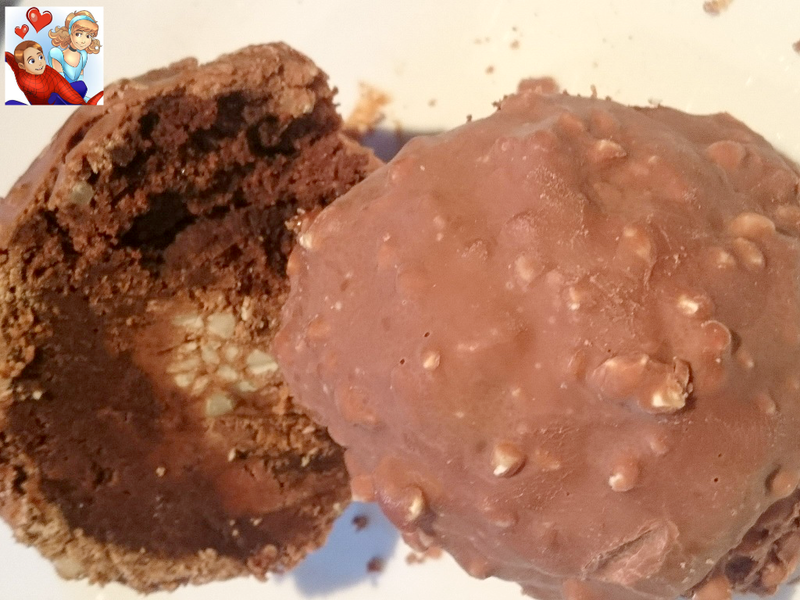 If you would like to have a go at inventing your own Egg then you will need to choose a centre, 2 ingredients for the Brownie mix and a coating – you can enter here. 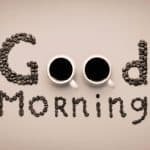 You have until Midnight on the 19th March 2016. 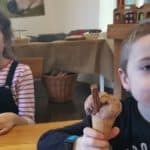 Brownie Heaven have very kindly offered a prize for one of my lovely readers – this prize is a mixed box of Chocolate Brownie Eggs worth £23.95. Sunflowers! They really brighten up any room. Sunflowers! The really brighten up any room. My favourite flower is the Scarlet Pimpernel. Roses – reminds me of when I was younger and we used to visit my grandparents every Friday night and I used to sit out in their garden doing my homework. Smell always reminds me of that time. I love lilacs. They remind me of home. Daisys love them so much its my daughters name! 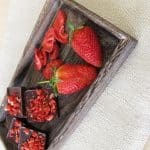 Oh wow, just the sound of these has my mouth watering – and then I got to the photos! My favourite flower is the gorgeous little Erigeron daisy. I love daffodils- they're do pretty and they remind me that Spring is on it's way! I love roses the best. I love roses- especially if they are scented. my favourite flowers are carnations because they come in loads of colours and are just really pretty to look at. After that I would say roses or tulips. I love tulips love the gorgeous different colours. my fave flower is Iris – they're beautiful!! My favourite flower is the bluebell. They aren't around for long but nothing beats the sight and smell of a bluebell wood on a warm Spring day. Rose, lovely scent and great variety in colour/s etc.